Kate Gordon is best known for her work on the intersection of clean energy and economic development policy, and especially for helping to shape the modern definition of “green-collar jobs”. Gordon served as an employment and consumer rights litigator at Trial Lawyers for Public Justice in Oakland, California. Gordon is the Co-Director and Senior Policy Advisor of the Apollo Alliance. She was one of Apollo’s first staffers, joining in 2004 as the director of the Apollo Strategy Center, the policy arm of Apollo formerly housed at the Center on Wisconsin Strategy. She then served as Apollo’s national program director before her promotion to co-director in mid-2008. 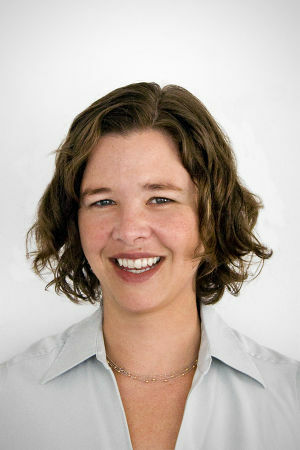 In 2005 Kate Gordon served as a senior staff of Center for American Progress. She was elected to the position of Vice President for Energy Policy in June 2009. Kate Gordon was one of the 148 speakers who addressed the 2010 America's Future Now Conference. Gordon serves or has served on the following boards and steering committees: RE-AMP, Clean Wisconsin, the Midwest Agriculture Energy Network, the National Wind Coordinating Committee and the National Green Industries Policy Retreat. This page was last modified on 11 December 2013, at 21:58.